The Spirit of Edmonton is back bigger and better than ever this year. The local group, which has been organizing the best party room at the Grey Cup for 45 years, is once again in a prime location at The Westin Edmonton. They can pack 1,100 people into the ballroom on the second floor plus another 250 people in an overflow room on the main floor. Doors open at 2 p.m. Thursday, Friday and Saturday and the party rocks until 1 a.m. each night. “We’re really looking forward to this weekend, especially showing off to our own fans,” said The Spirit of Edmonton chairman Gerry Haracsi. “A whole generation hasn’t seen The Spirit of Edmonton. They may know of us or have heard about us, but they don’t know what it’s like to come to the Spirit of Edmonton room. We’re hoping that everybody in that 18- to 25-year-old age group comes and experiences the Spirit of Edmonton. It’s easy to have fun in The Spirit of Edmonton room. There’s non-stop entertainment all day long and dozens and dozens of beer are loaded into a giant Arctic Spas hot tub, which has served as the signature main cooler ever since Haracsi first volunteered with The Spirit of Edmonton in 2010, when Edmonton last hosted the Grey Cup. “We have 99-per-cent local entertainment this year,” he proudly pointed out. Sideline 12, a cover band featuring rock, country and blues. Mourning Wood, a popular cover band for the past decade. Chronic Rock, a cover band formed in 2010 that has been performing rock and pop hits spanning the decades since the 1970s. Spoiled Rotten from Moncton, N.B., is the headline act. The band has been travelling across Canada with The Spirit of Edmonton for the last eight years. In addition, each CFL club’s Cheer Team will make appearances along with pipe bands and another local dance group. C. Lions Den – 3 p.m.-1 a.m. Friday and Saturday in the Riverview Room at the Shaw Conference Centre ($5 cover charge between 3-5 p.m., $10 cover charge otherwise). Stamps House – noon to midnight Friday and Saturday in the Empire Ballroom at the Fairmont Hotel Macdonald, 10065 100th $10 cover charge. Riderville – noon to 2 a.m. Friday and Saturday in Salons 8-12 at the Shaw Conference Centre. $10 cover charge. Touchdown Manitoba – noon to 5 p.m. Friday in Hall C at the Shaw Conference Centre. $20 cover charge. RNation Party – 6 p.m.-10 p.m. Friday and Saturday at Revel Bistro & Bar, 9802 Jasper Avenue. Black & Gold Pub Crawl – 6-11 p.m. Friday at Mercer Tavern, 10363 104th Street; Vanier Cup Viewing Party 10 a.m.-3 p.m. Saturday at Central Social Hall, 10909 Jasper Avenue; 6-11 p.m. Saturday at The Canadian Brewhouse, 10338 109th No cover. Atlantic Schooners East Coast Kitchen Party – 3 p.m.-1 a.m. Friday, noon-1 a.m. Saturday in Hall D at the Shaw Conference Centre. $20 all-day pass. Argos Shipyard – 6 p.m.-1 a.m. Saturday in Salon 4 at the Shaw Conference Centre. No cover. Montreal Huddle – 7-10 p.m. Saturday at Anthem, 10736 Jasper Avenue. $20 cover charge. It’s best to come early if you want to experience The Spirit of Edmonton party. The Spirit of Edmonton added a $10 cover charge last year. “When you’re spending hundreds of thousands of dollars on production, entertainment and accommodations, that’s a lot of booze you have to sell at a very expensive price and we don’t want to do that,” Haracsi explained. “We want to keep the price affordable for everybody. It’s a one-time daily fee of $10 and gets you in and gets you all the entertainment. The Spirit of Edmonton sold out 2,100 tickets for their annual Saturday morning breakfast within 48 hours after they went on sale on Valentine’s Day 2018. “So we thought, ‘Let’s add another breakfast,’ ” said Haracsi, who pointed out that their second breakfast with just under 2,000 people will actually be their first one on Friday morning from 8 a.m. until noon. “Again, it’s non-stop entertainment. Dash Riprock (an eight-piece local rock band) is our headliner for our breakfast, except they start at 7:30 in the morning. If you get there at 7:30, you’re out on the dance floor having fun at 7:30 on a Friday or Saturday morning. Don’t bother asking about the ingredients. You’re not going to remember the answer later anyway! The Nissan Titan Street Festival will be fully operating with free activities and entertainment from 11 a.m. until 11 p.m. The Capital Power zipline, Epcor Street Ski, Jiffy Lube Slide and River Cree Bungee are all free and open from 11 a.m. until 9:30 p.m. There are two Capital Power ziplines flying into the river valley from a 50-foot launch tower at the corner of Jasper Avenue and 97th Street. The 60-foot landing tower is in Louise McKinney Park on the south side of Grierson Hill Road. While the rides are free, donations are welcome and will be matched by Capital Power in support of the Edmonton Military Family Resource Centre, which provides support programs and services for military personnel and their families. The 50-foot launch tower for the five-storey River Cree Bungee Jump is connected to the zipline launch tower. Thrill-seekers looking to enjoy either the high-speed zipline or the free-falling bungee jump will have to obtain a wristband in the tent located near the launch towers. At both events, there will be 50 wristbands distributed for each hour starting at 10:30 a.m. for the 11 a.m., noon and 1 p.m. time slots; 1:30 p.m. for the 2, 3 and 4 p.m. time slots; and 4:30 p.m. for the 5, 6, 7 and 8 p.m. time slots. Only one wristband is allowed per person per day. It’s first come, first served for the Epcor Street Ski and Jiffy Lube Tube Slide activities, which are both on 150-foot long, 25-foot high ramps at a 17-degree slope on Jasper Avenue near 97th Street. No skiing experience is necessary and all equipment for the Epcor Street Ski is provided onsite. Free ski and snowboard lessons will be offered. The Jiffy Lube Tube Slide has 40 inflatable tubes ready to sail down two lanes at high speeds. The Cooper Equipment Entertainment Stage runs from noon until 9:15 p.m. Notorious YEG is the opening act at noon, followed by Paul Woida (an Edmonton musician who uses recorded loops to replicate the sound of an entire band similar to Ed Sheeran) at 1:30 p.m., Edmonton country music singer Alee at 3 p.m., The Royal Foundry (an Edmonton couple that plays uptempo folk pop) at 4:30 p.m., The Watchmen (an alternative rock band from Winnipeg) at 6 p.m. and the Rural Alberta Advantage (an indie rock band from Toronto) at 7:45 p.m.
Eskimos offensive lineman David Beard will be the guest speaker at Alberta House from 5:45 – 6:15 p.m.
Best-of-three quarter-finals in the first Grey Cup Festival Esports Tournament for gamers will be held from 6-10 p.m. at the Grey Cup Gaming Zone at the east end of the Festival site. You can also get in on some free play, try CFL Football Frenzy or the digital graffiti wall and test-drive the can-riding pit in the Gaming Zone. The Brick Family Zone features 16,000 square feet of family-friendly interactive games and displays in the comfort of a heated tent. Included is a mini-zipline, tube slide, bungee trampolines, digital graffiti wall, climbing wall, kids combine and the Canadian Football Hall of Fame and Museum. The Syncrude Mini Field programmed by Football Alberta will be busy from 11 a.m. until 10 p.m. with youth football in the morning and adult flag football at night. 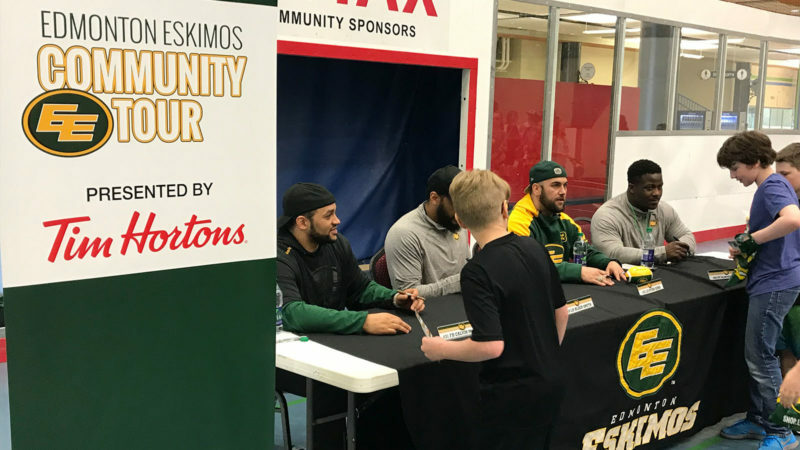 Eskimos players Alex Bazzie, Tommie Draheim, Aaron Grymes, Korey Jones, Hugh O’Neill, Calvin McCarty and J.C. Sherritt ran a Football Fundamentals at Grey Cup Youth Field Trip on Thursday morning. The Boston Pizza Sports Bar is open from 11 a.m. until 11 p.m.
Shaw CFL Awards at the Winspear Centre (sold out) with a reception at 6 p.m. and the awards show at 7:30 p.m.
Diversity is Strength Party presented by You Can Play is at 9 p.m. in Hall D at the Shaw Conference Centre ($25, ages 18 and older). 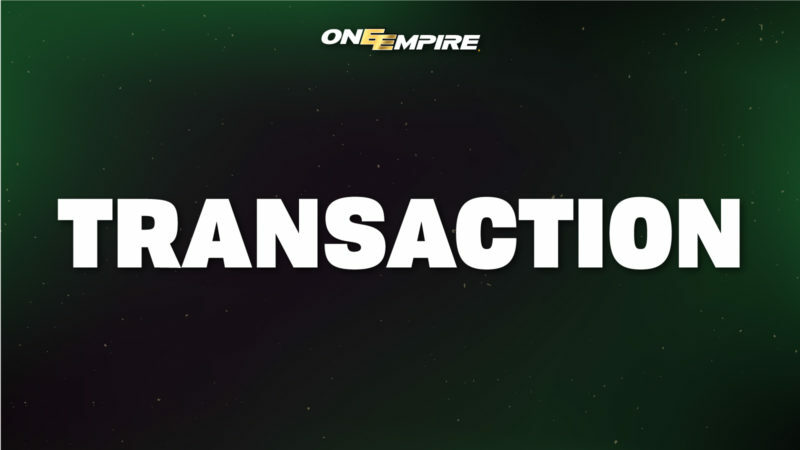 Included is Juno Award-winning DJ Barry Harris and the Glitter Cup, a drag lip sync battle to Bonnie Tyler’s Holding Out for a Hero that’ll be judged by Eskimos defensive back Arjen Colquhoun and O-lineman Matt O’Donnell.